Yu-Gi-Oh! 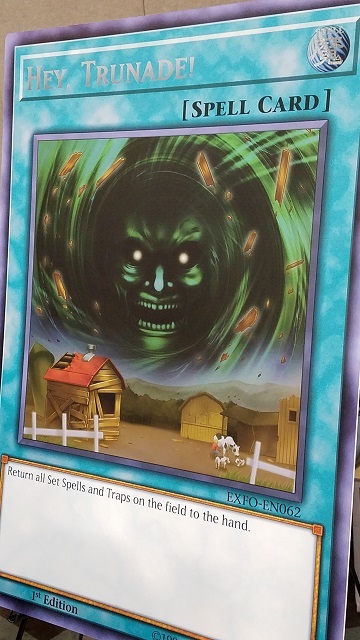 TCG Event Coverage » YCS Salt Lake City: ATTACK OF THE GIANT CARDS!! 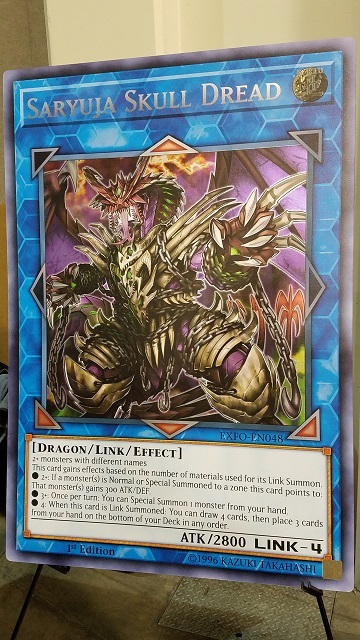 Home > 2018/03 - Salt Lake City, UT, Yu-Gi-Oh! Championship Series	> YCS Salt Lake City: ATTACK OF THE GIANT CARDS!! Check out the GIANT cards up for grabs in this weekend’s ATTACK OF THE GIANT CARDS!! Tournaments! This weekend’s ATTACK OF THE GIANT CARDS!! Tournaments feature Hey, Trunade! and Saryuja Skull Dread. Will Hey, Trunade! be claimed first? Or will Saryuja Skull Dread be the first to go? Follow the coverage to find out! Round 3 Feature Match: Aaron Furman vs. Darren Stephenson QQ: What’s Your Favorite EXFO Special Edition Card?